The Mango Guest House is a 2 story, jungle-chic cabin with 4 private rooms set in a beautiful garden area with mango trees on all sides. Each room has a private entrance, hardwood floors, separate bathroom, private terrace, louver doors and windows that wrap around the room to afford panoramic views. Rooms have queen sized beds or twin beds and ceiling fans. 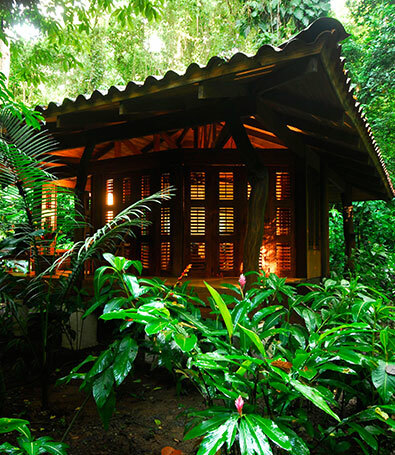 Relax in these private cabins tucked into the rainforest affording you a unique feeling of being in an amazing natural setting. Each cabin has beautiful hardwood floors, open air shower-bathroom, wrap around terrace, and louver doors and windows allowing you panoramic views. 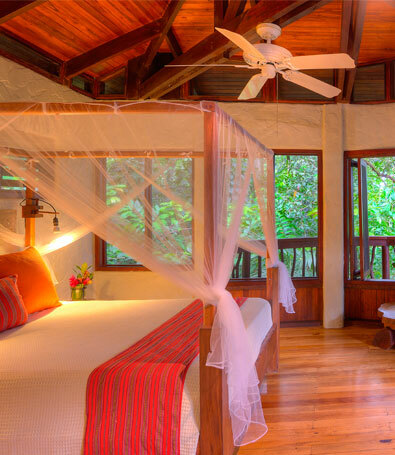 Cabins come furnished with queen beds (or twin beds upon request) with ceiling fans. This private cabin features two bedrooms and a living room that can be converted into another bedroom. This lovely 2-bedroom cabin sits on the edge of the jungle and is a great choice for families with younger children. 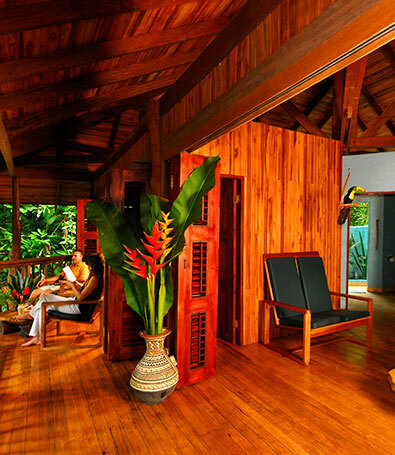 Each cabin features hardwood floors, open air shower-bathroom, a secluded terrace, ceiling fans, and wrap around louver doors and windows with panoramic views of the jungle. 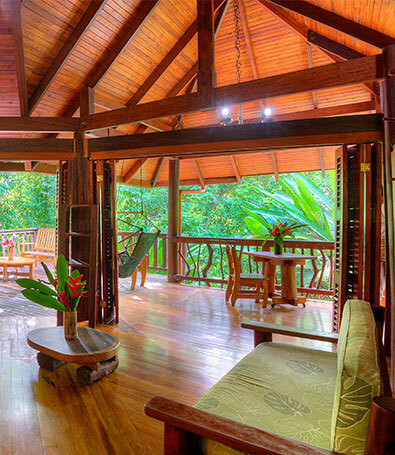 Spread out in this 2 story, 3 bedroom house surrounded by the lush jungle. The first floor includes a living room area with beautiful hardwood floors, a bedroom and full bath with beautiful open-air shower. The loft-like second story features a master bedroom, 2nd bedroom, full bath and large open terrace. Let the crashing of the waves lull you to sleep.